A New Old Fashioned Form of Healthcare? A new term in healthcare has emerged. It is a health and wellness coach. This kind of coach is providing a new paradigm in the way people manage their lives. Rather than waiting till we are broke to get fixed, people are learning proactive ways to improve health. Face it, we do not get high cholesterol because we are depleted in statins. We don't have high blood pressure because we are lacking in beta-blockers. Diabetes is not the result of a lack of metformin. We allow our bodies to get this way because we do not know or care. When we are treated as a group, incredible things happen. We provide positive peer pressure to encourage others to be healthy and then great things happen. Holistic Nursing and Integrative Healthcare are disrupting the status quo. The health and wellness coach is the one leading this change. They provide the peer pressure, the cheer leading section and the coach all raped into one. Those leading this change, rather than simply improving the current healthcare system, are changing the way health care is provided. The difference, rather than treating symptoms, the whole body is being treated. Rather than life long treatments, life long healthy practices are taught. Rather than treating an individual, a consumer, a family and a community embrace a proactive attitude toward better health. In the process, the spirit, mind and body is given whats needed to heal. Do you suffering from chronic health problems? Have you spent considerable time and money visiting doctors and still have not got relief? The symptoms are common among many of your neighbors, friends and family. Do you have a difficult time getting a good nights sleep? Are you battling brain fog? Are you dealing with chronic fatigue. Is depression a problem for you. How about the inability to lose weight? You no doubt have come to the conclusion that many are coming to.... Doing the same thing is getting the same results. The health care system is very expensive and rarely provides lasting help for the majority of people. Health care is essential for broken bones, injuries and burns and acute conditions. But when it comes to chronic diseases, it fails. The health issues the majority of us face are not being helped. Healthcare can provide no lasting solution for the majority. Holistic healthcare helps the body get into a state where it can heal its self. Note that we are not healers. We are facilitators, helping the body do what it was designed to do. It is done by addressing some basic needs of the body. Once you are aware of the things that affect our health you will be on the way to better health. With the knowledge of how to give your body what it needs, you will attain your best health. This works because you will be treating the body and not the symptoms. 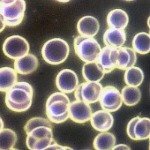 Do you know what the number one protocol used in the hospitals around the world? It is the saline IV. Every doctor knows how to use this for any patient coming into the hospital. 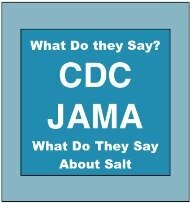 Yet, when it is suggested that someone take more salt and drink more water, doctors balk. Why? Why do they say avoid salt and then give it to almost everyone coming through their doors. 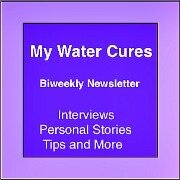 The Water Cures protocol is basically the oral version of a saline IV. The advanced water cures protocol is basically a dextrose IV. There is one huge difference though. 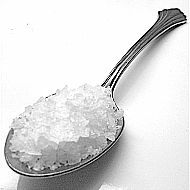 Unlike the salt in the IV, the salt we recommend has over 80 minerals and there is less salt than in the IV. 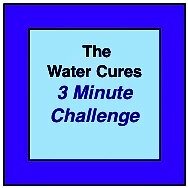 Whats more, the trace minerals make the Water Cures protocol basically a hybrid of a saline IV and Lactated Ringers solution. The positive result people experience from just this one treatment is dramatic. Sometimes people have been sick for so long and have tried so many things, they stop trying. In psychology, when people give up and do nothing, it may be because they have entered a state called learned helplessness. 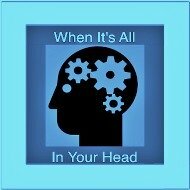 Before any treatment will be used, it is first important to get the right mental attitude. People need to believe they can have better health. They have to want better health and not view their life as the sum total of the disease that identifies them. You will need to learn which foods encourage healing and which hinder good health. Some foods can actually help eliminate pain. Some foods help remove the toxins from our body once we get them out of our cells. The key, learning which foods are good and which are bad. We refer to these good foods the Farmacy in the Fridge. Are You Ready for a Change for Good Wellness Coach? Most health and wellness consultations are conducted in the privacy of your home. No office visit. No exposure to other sick people. No having to leave your home if you are not well. Everyone is unique. Everyone has their own balance to attain health. You will experience something unique with your health wellness coach. Your wellness-coach will work to find your unique solution to help you get on the road to recovery. The end result, you will find it will be much more than you could imagine. It will be start out being something to promote health. Your helper may end up being a wellness life coach for you. as the training you get will improve your life so much. Some wellness coaches specialize and some are generalist. At Nurse Jon, we are generalist and we focus on three basic specialties, pain, blood and hydration. Both in hospice and the hospital, one of my passions has been managing pain. With extensive research, it is my pleasure to aid others to have a pain free existence. Hydration requires a whole lot more than drinking water. 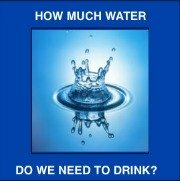 There is the often overlooked electrolytes that helps the water get to the cellular level in our body. Electrolytes work in harmony with each other. If for any reason one is depleted, the other electrolytes could be affected. 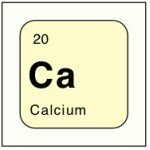 Example: when your potassium is low, you most likely also have low magnesium. While increasing your potassium will fix the one symptom, it does not address the cause. By providing more magnesium, both the magnesium and potassium will often normalize according to research.